Recently we adopted a new kitten, Jax. He's so stinkin' cute, of course I have about 1,000 pictures of his antics. 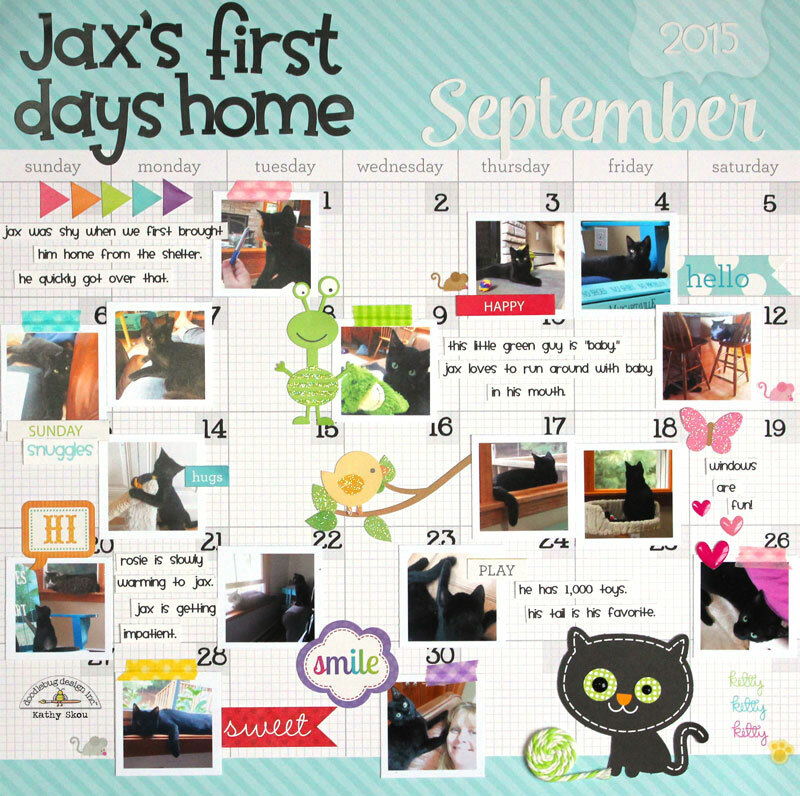 I printed a bunch of them in 1.25" square size and set forth documenting Jax's first month in his forever home! The new Doodlebug Washi Tape Collections are perfect for decorating the Daily Doodles Calendars as well...the thin size is perfect for attaching pictures! I also used some new Chunky Twine in Limeade to make my ball of string...it's so yummy, I can't wait to play with all the colors! That's it for me today, thanks for stopping by to peek! That is way too cute! Love the kitty sticker! How cute!! I love all the tiny photos together!! Adorable!! Love this page and those tiny photos!! This is so sweet and such a good idea! This is PURRfectly PAWsome and so well done - love the way everything is arranged!!! Super cool - great job, Kathy!!! 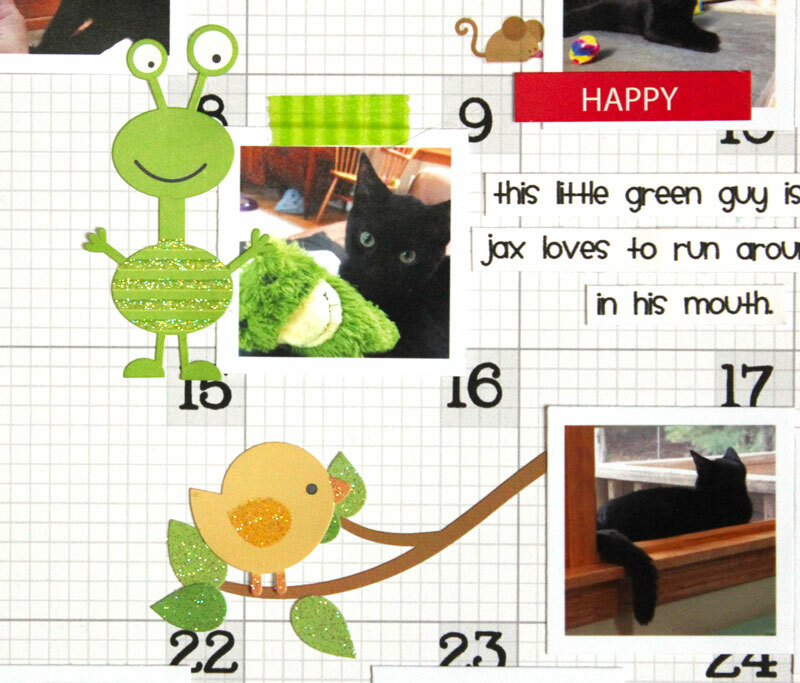 Absolutely adorable calendar page! 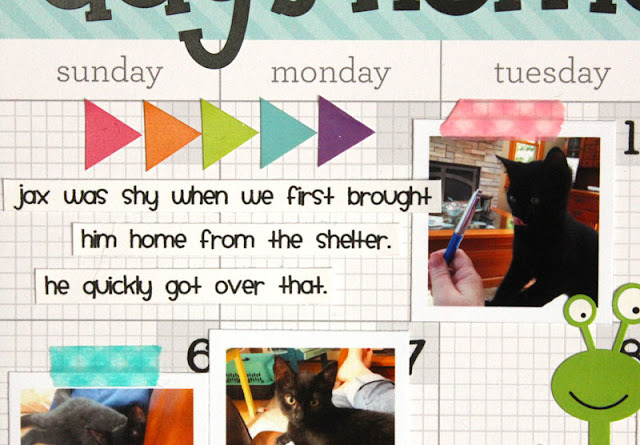 Love the way you added the journaling! This is so adorable. Love the little photos. They are the perfect size for the page.